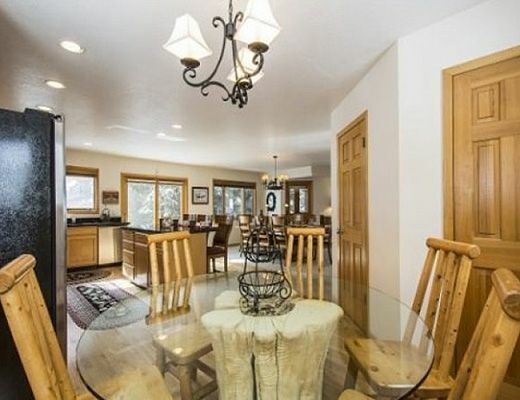 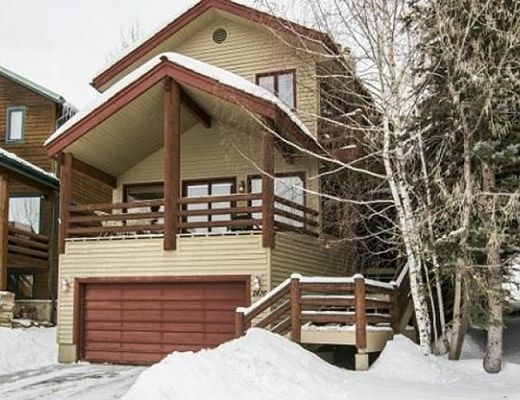 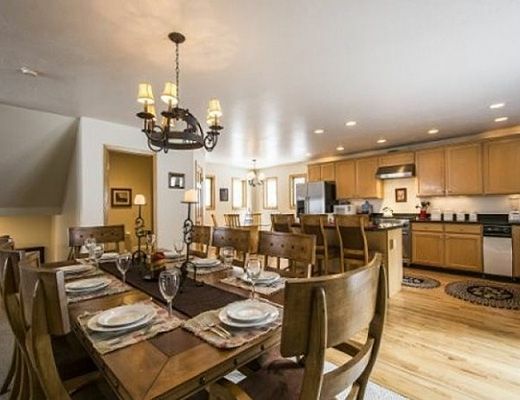 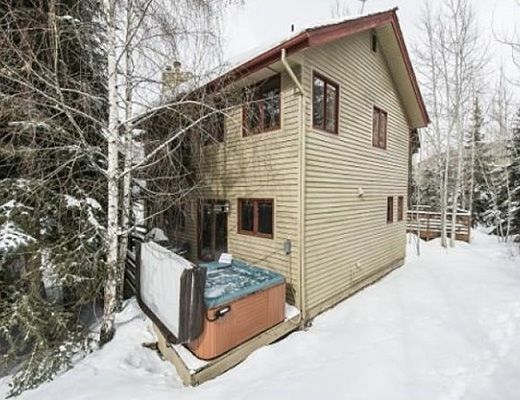 Offering the perfect location on Deer Valley Loop, this five bedroom home offers easy access to the slopes of Deer Valley as well as Park City Mountain Resort and sits only a mile away from Main Street shopping, dining and activities. 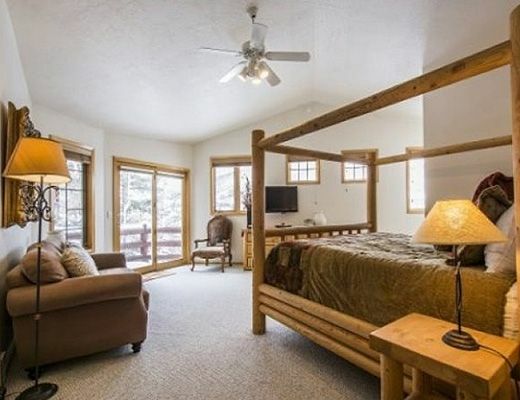 Warm mountain dÃ©cor throughout gives guests the feel of staying in their own alpine retreat with rich leathers, iron chandeliers and custom dÃ©cor. 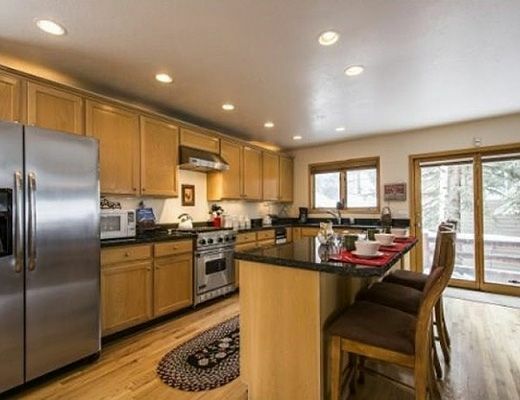 A large open kitchen space is perfect for larger gatherings. 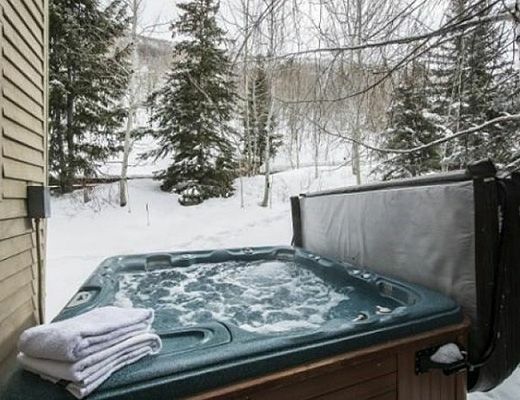 Pamper yourself with a soak in the private hot tub nestled in the trees. 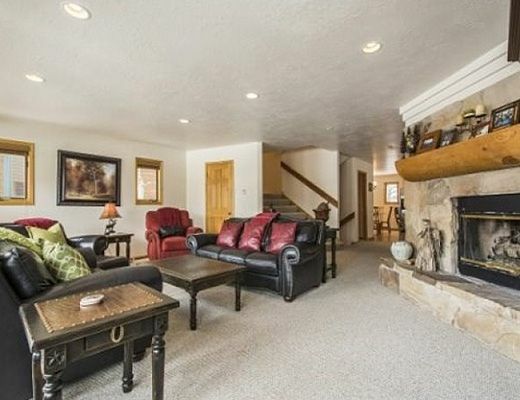 Snuggle in next to the stone fireplace for a cozy evening spent at home. 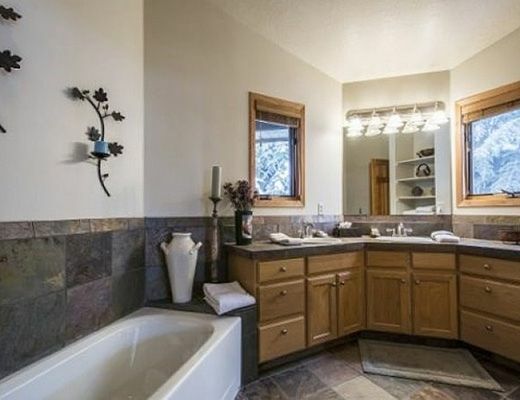 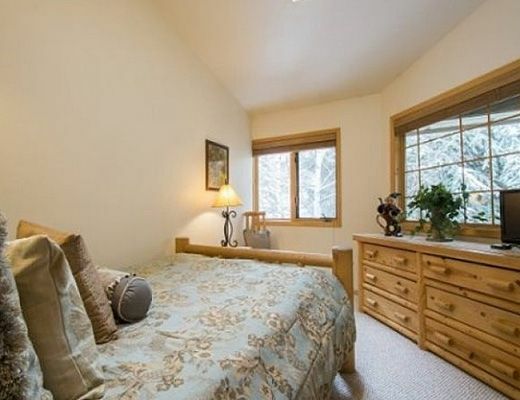 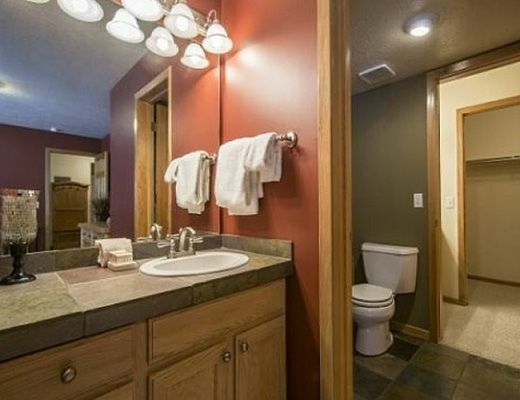 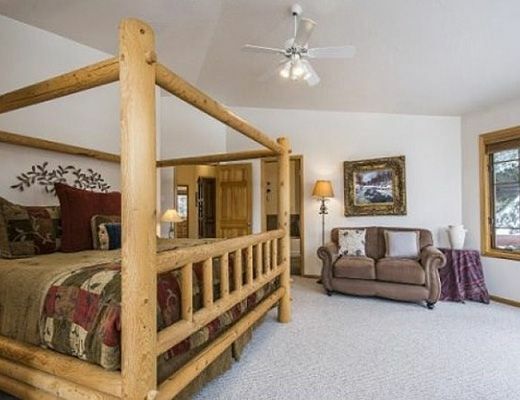 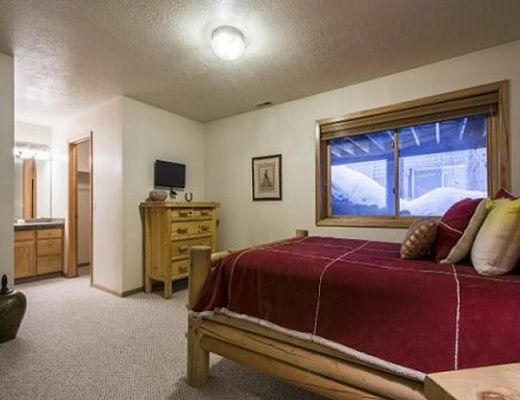 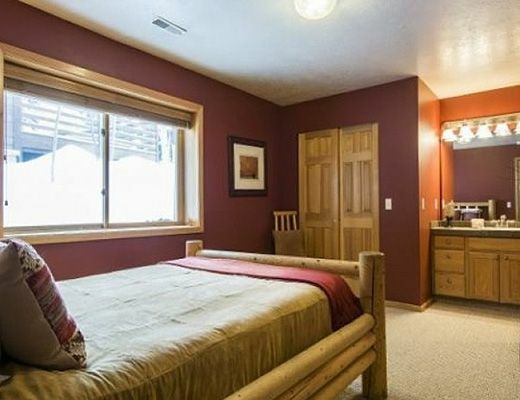 Perfect for families or multi-family trips, this home sleeps ten in five bedrooms. 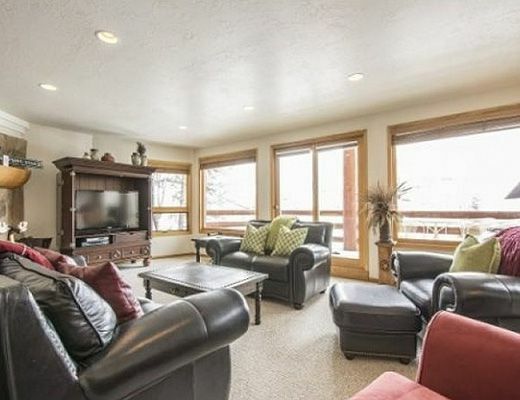 Perfect for entertaining, flat screen TVâ€™s are throughout the home and a BBQ grill is ready for your grilling session on the deck, offering panoramic views of the surrounding mountains.